Attorney General Maura Healey vowed to try to revive enforcing the law when she took office in January. The Massachusetts attorney general’s office has begun enforcing the state public records law for the first time in five years, successfully pressuring the Fall River Police Department to slash the fee it planned to charge a journalist for documents. State officials had all but stopped enforcing the law, which provides access to government records, after a rift between Secretary of State William F. Galvin and former attorney general Martha Coakley. As a result, a public records law that was already considered one of the weakest in the nation became almost toothless. 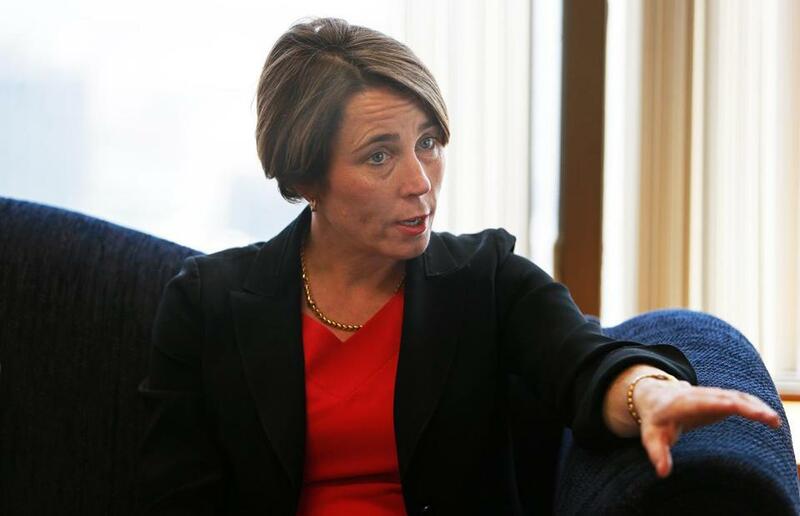 But Attorney General Maura Healey vowed to try to revive enforcing the law when she took office in January. Healey kept that promise by contacting Fall River police last month after they refused to comply with Galvin’s order to reduce the fee for documents about someone who had been arrested for videotaping an officer. Healey believes that public agencies have an obligation to be transparent and responsive to the people they serve, said Cyndi Roy Gonzalez, a spokeswoman for Healey. “She has committed to working closely with the secretary of state and other officials to enforce the public records law,” Gonzalez said. Fall River police did not respond to a request for comment. But the journalist, Andrew Quemere of the Bay State Examiner, expressed frustration that the attorney general did not also prosecute the police for flouting the order for six months. “Unless public officials who engage in this kind of behavior face real consequences, then many of them will continue to treat the law as a mere suggestion,” Quemere said. Officials in the attorney general’s office have said they have not enforced any other public records rulings since 2010 because they have not received any other cases from the secretary of state’s office. Under state law, the secretary of state is charged with fielding complaints and making rulings, but has to rely on the attorney general to sue officials who refuse to comply with the decisions. Galvin’s office stopped referring orders to the attorney general’s office in early 2010 after past attorneys general refused to enforce many of the orders, arguing that Galvin’s office had misinterpreted the law. That left citizens with no option but to go to court themselves, a route too costly for most people to pursue. Critics said the dispute diluted the state’s already weak public records law and emboldened agencies to disregard it. Today, agencies routinely withhold records, take months to respond to requests, or charge thousands of dollars in fees for documents. In one instance, the Globe reported that State Police wanted nearly $43,000 for their log of public record requests made to the agency. After Healey took office, however, she encouraged Galvin to resume making referrals of public records complaints. Galvin’s spokesman, Brian McNiff, said that, after a number of discussions with Healey’s office, Galvin turned to the attorney general last month for help enforcing an order requiring the Fall River police to revise a bill for copies. “Refusal to comply with the [secretary of state’s] order to provide public records is a serious matter, and referral to the attorney general for prompt enforcement can be an effective remedy,” McNiff has said previously. The Fall River dispute dates to early 2014, when Fall River resident George Thompson was arrested after he videotaped an officer repeatedly cursing while working at a traffic detail. The Bristol district attorney later dropped wiretapping charges against Thompson, but, when Thompson got his smartphone back, all the videos of the incident had been deleted. Quemere, the Bay State Examiner cofounder, later asked for documents about the incident but objected to the $179.36 bill from the police. He said the department tried to charge him $1 per page for copies of documents, five times higher than the 20 cents normally allowed under state regulations. Quemere, who filed an appeal with the secretary of state’s office in October, also thought the hourly fees for reviewing the documents were excessive. In December, the secretary of state’s office ordered the police to revise the fee estimate and told the department it had to accept verbal requests. But the police chief balked, telling a reporter from The Herald News in Fall River that he did not agree with the ruling and suggested the reporter or state would have to go to court to enforce the order. “The arbiter in these matters is the superior court,” Police Chief Daniel S. Racine told the paper. For months nothing happened. But in May, after resolving differences with the attorney general, Galvin’s office referred the matter to the Healey’s office, which quickly called the Fall River police to explain the law. Two days later, Fall River police Lieutenant Ronald Furtado agreed to send Quemere a revised fee estimate of $76.63 — less than half the department’s original bill. “It has been determined that the original estimate provided to you by the Fall River Police Department was incorrect,” Furtado wrote in his May 22 letter, which Quemere said was postmarked last week. Quemere is not completely satisfied. In addition to the fact that the police faced no penalties, he has questions about the reduced fee. He complained that Galvin’s office left him in the dark for months about what his office was going to do. The Healey spokeswoman, Gonzalez, said the attorney general’s office was able to persuade police to provide the documents at a reasonable price without filing criminal charges. But she said Healey also believes the public records needs to be “updated to include real teeth to ensure public agencies comply with the law” going forward.